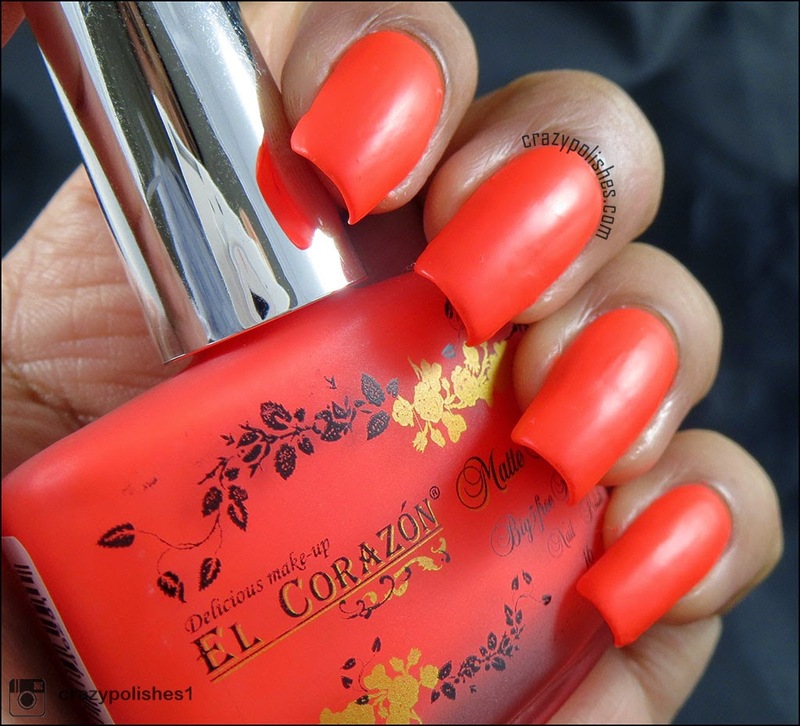 Today I have swatches of new El Corazon Matte Effect Polishes. 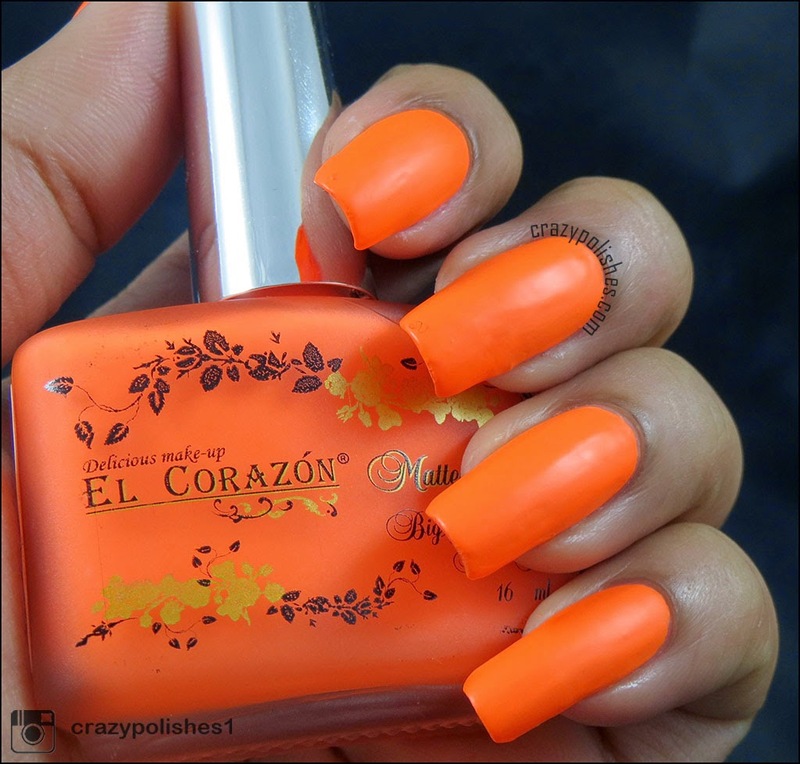 If you dont know already, El corazon is a Russian cosmetic brand. 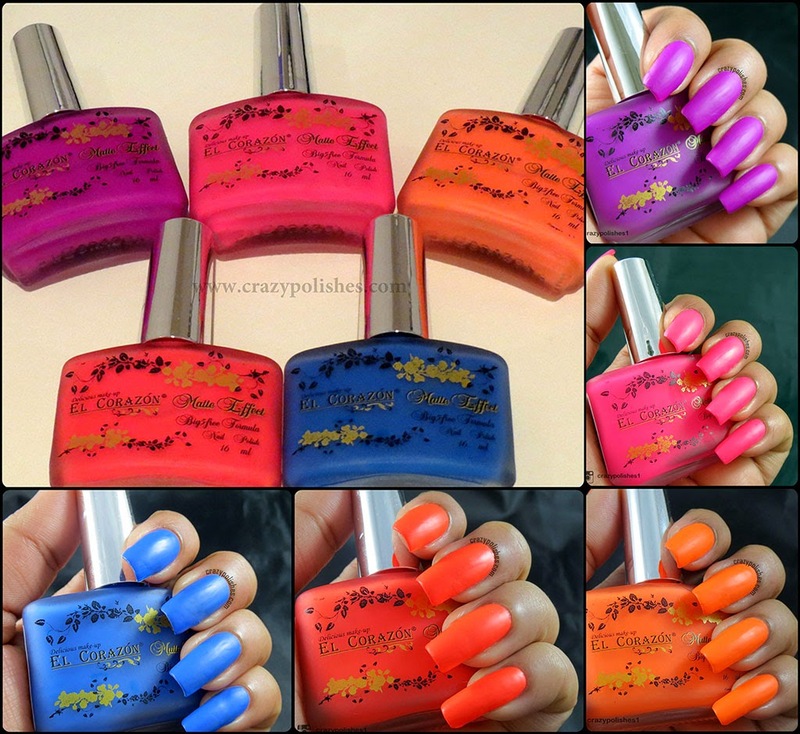 They have great range of polish collection from pastel to neon to glitters to holographic. 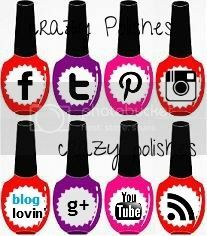 I have reviewed their polishes before. I like this brand for couple of reasons, they are affordable, their formula is also nice which is also big 5 free, some of them stamps very well too. 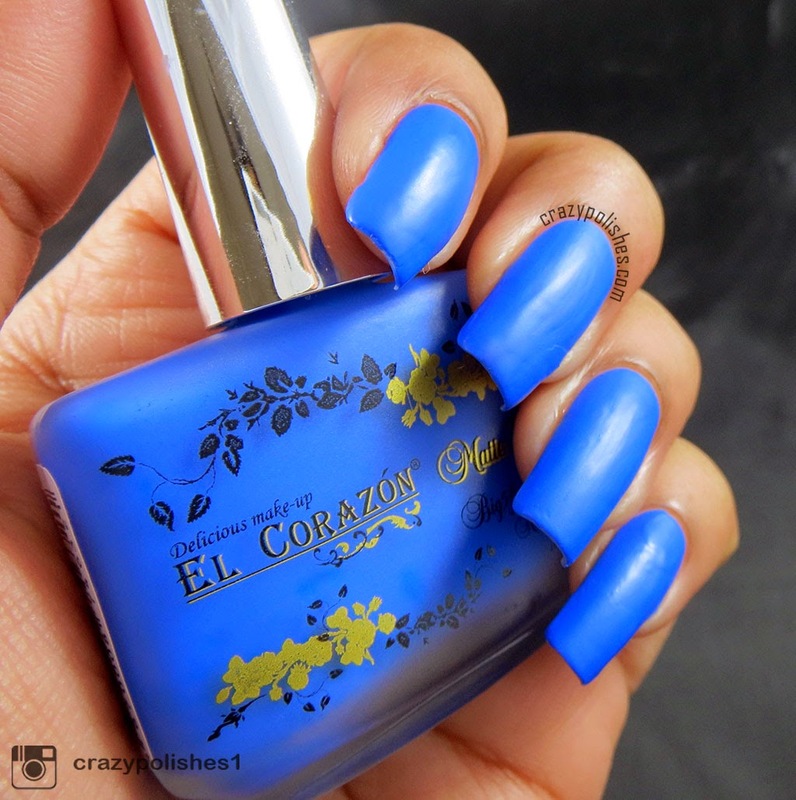 El corazon released their matte collection back in 2012 with 15 different shades. 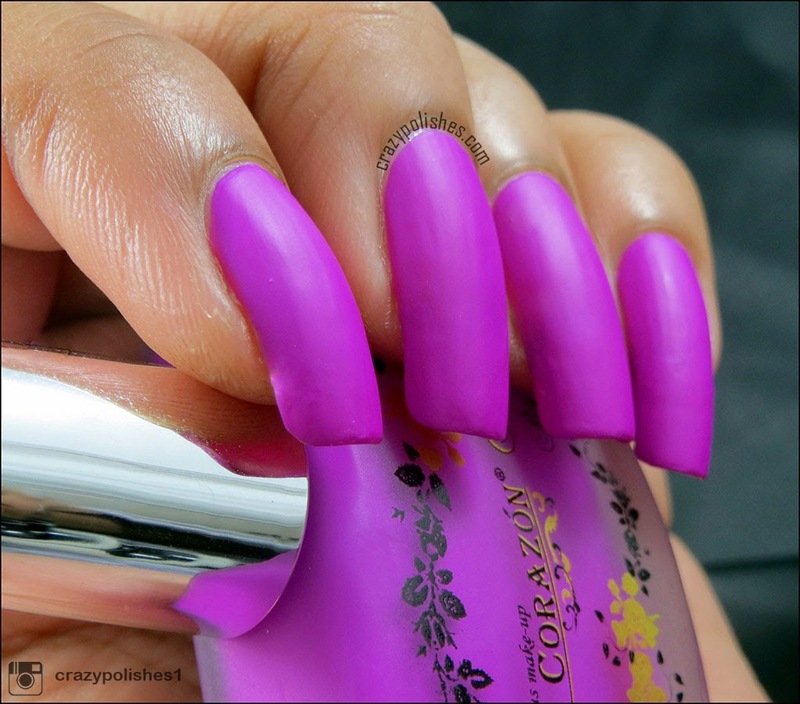 In May 2014 they extended this collection with adding 2 regular shades plus 7 neon shades (you can see entire matte collection here). Today, I have 5 polishes out of 7(No 141 to No 147) neon matte shades. Lets have a look. Please click on "Read More" button for detailed swatches. These polishes are absolutely wonder. 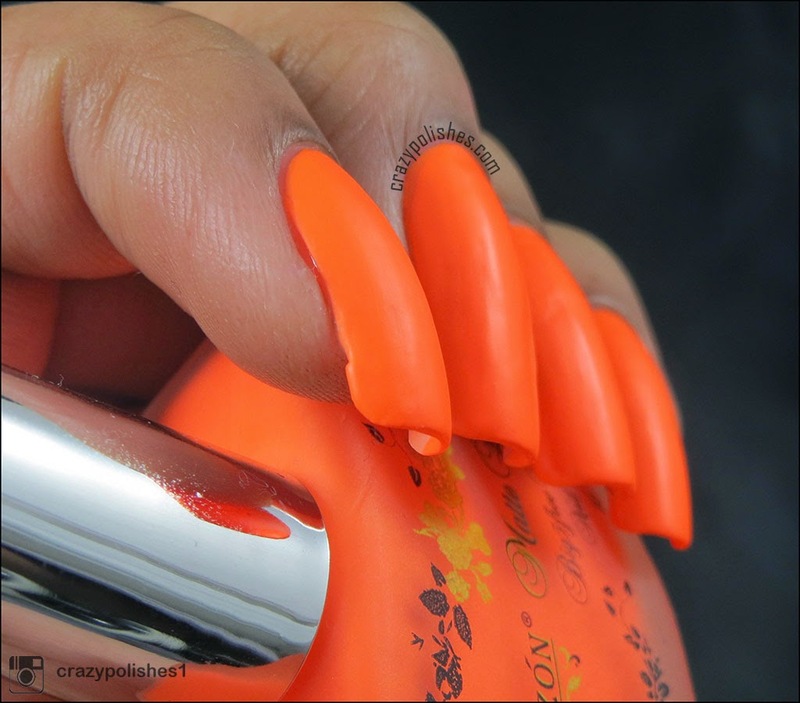 The formula is the best of both neon and matte polishes I have used until now. Most of them are one coater polishes(except no.146) and doesn't leave any patches. 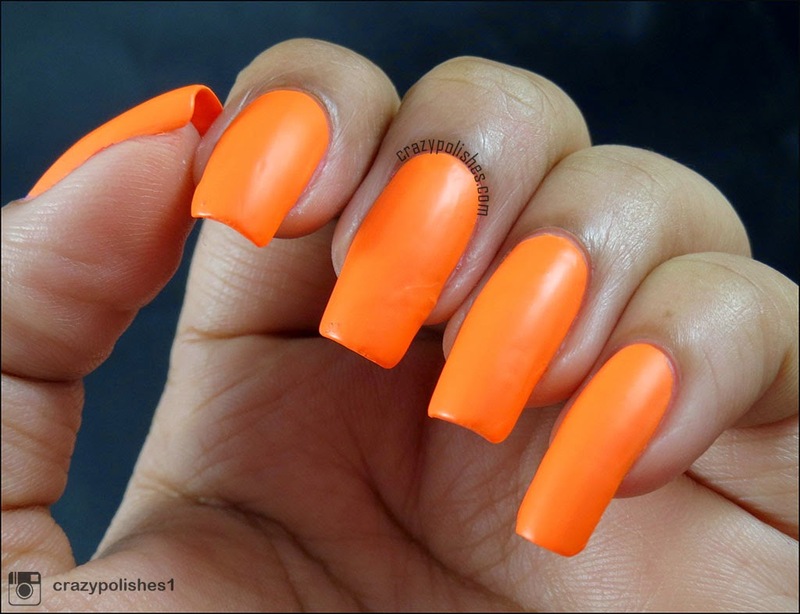 Matte Effect 142- Neon is an orange neon polish. 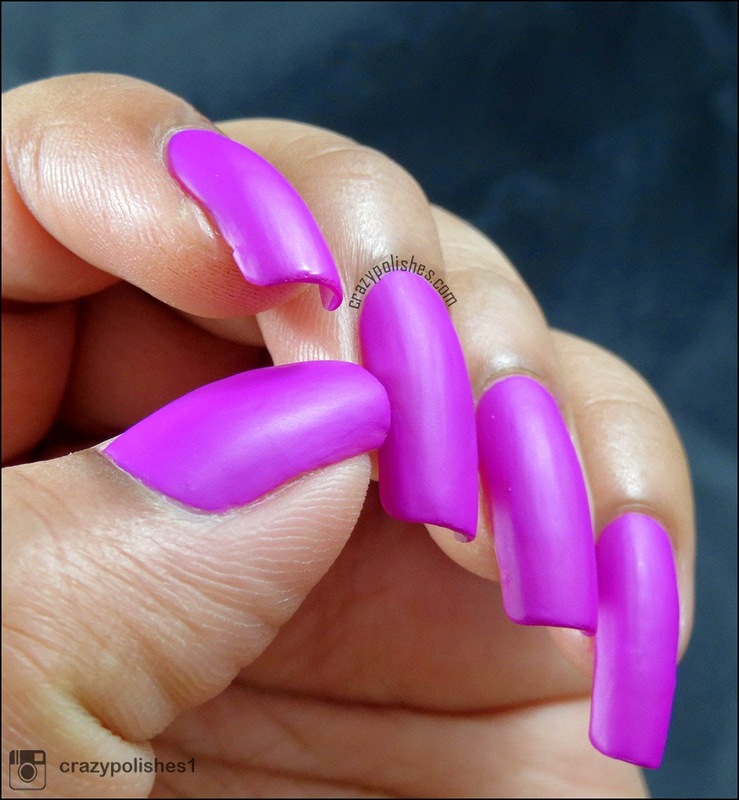 This is the most "neon" polish from the lot. It was little streaky at first coat but even out with second. I used 2 thin coats (you can manage it in one thick coat too). No top coat over it. 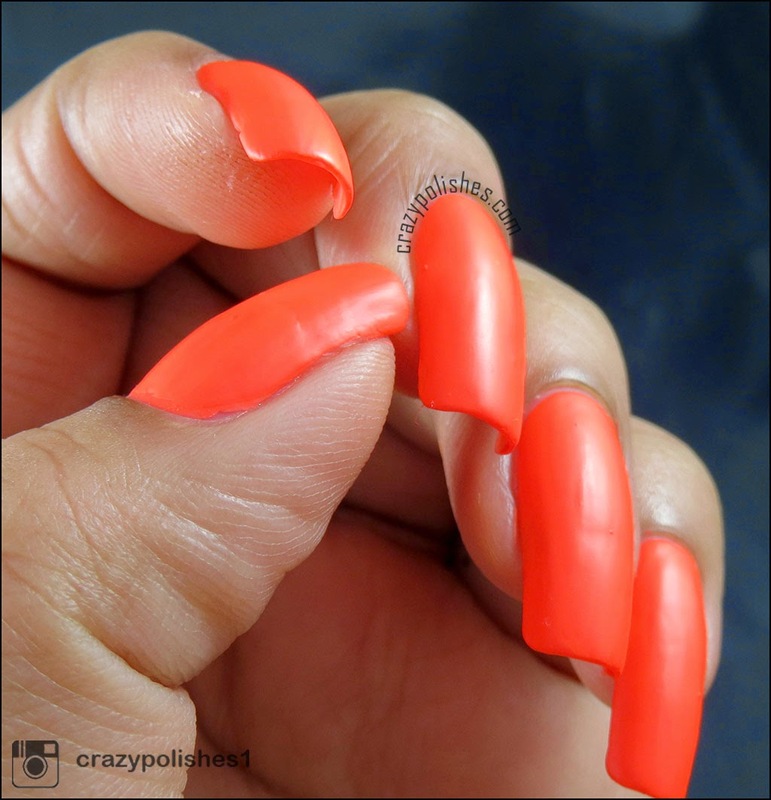 Matte Effect 143- Neon is orange-ish red neon shade. Application was smooth. Formula is 1 coat perfect but I dont get satisfaction until I apply a thin second coat. No top coat for below pictures. 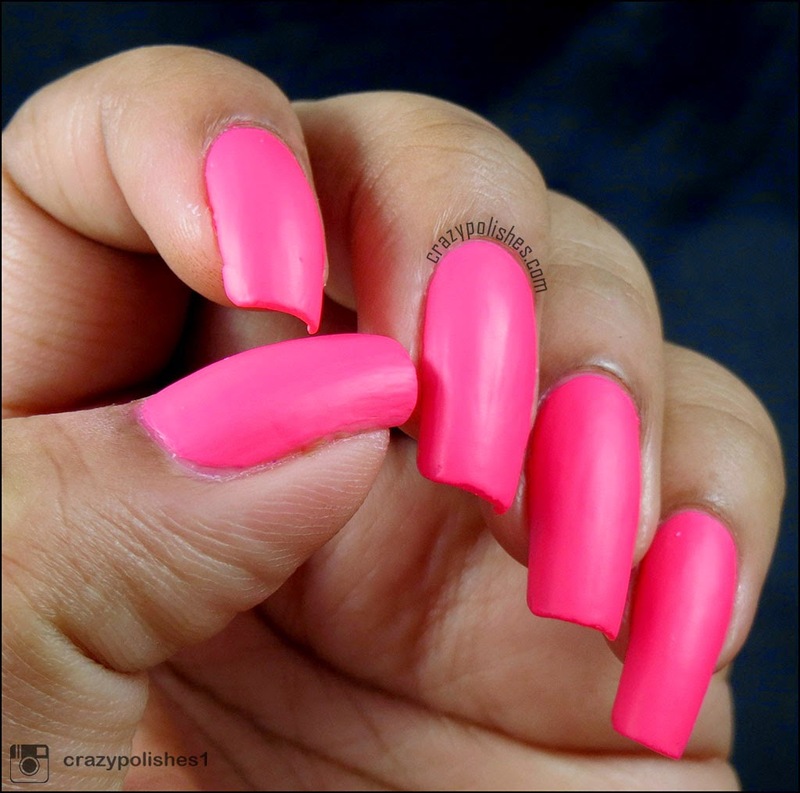 Matte Effect 144- Neon is a pink neon polish. The effect is more neon-ish in person for this one. My camera was not behaving so I wasnt able to capture true neon of this color. Formula was nice though like no 143. Two coats and no top coat for below pictures. 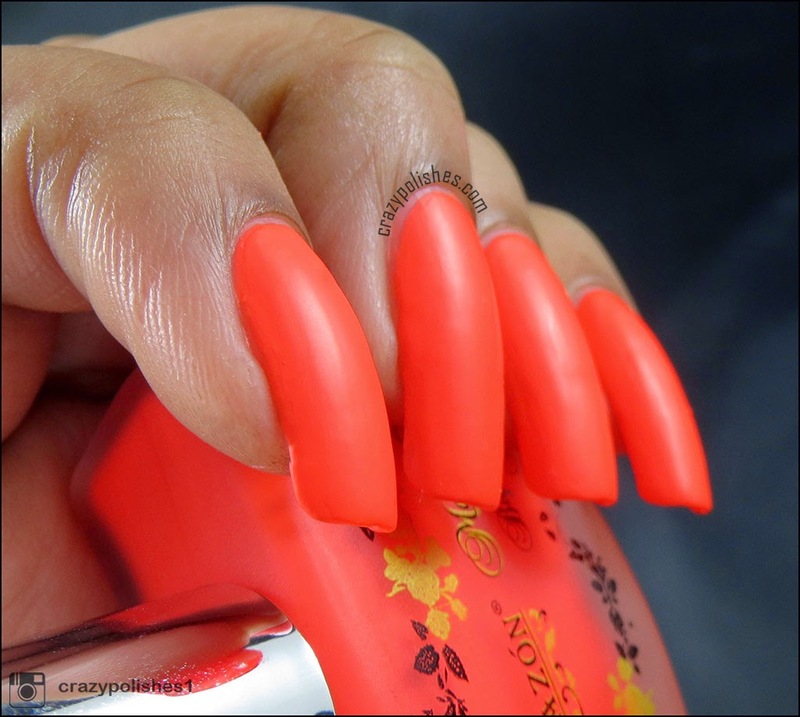 Next is Matte Effect 146- Neon. 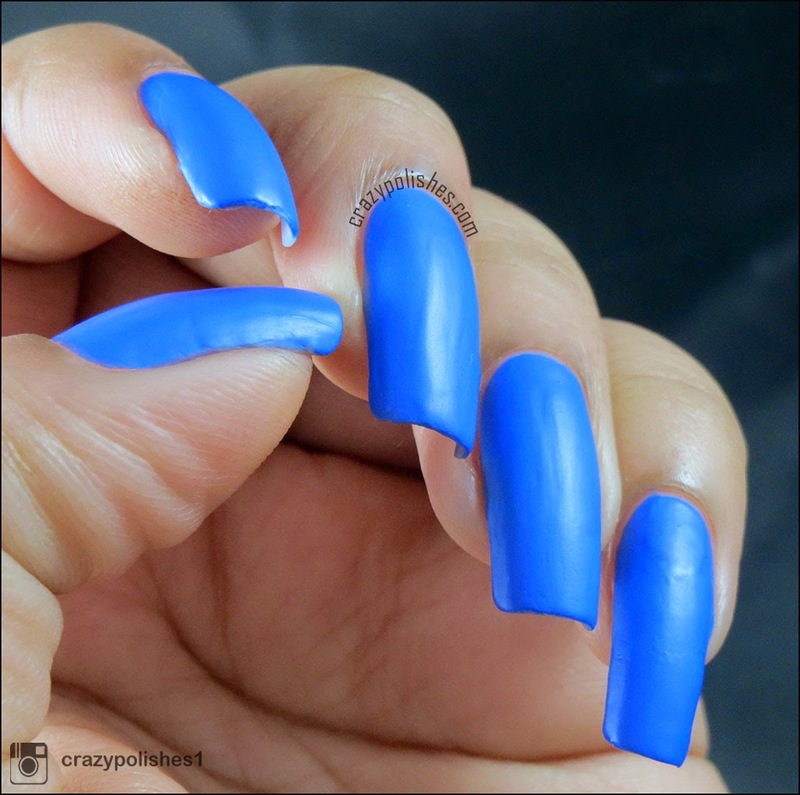 It is a blue neon polish. It is least neon in this lot and also need 2 coats of color to build up. Nonetheless shade is gorgeous and I love it. 2 coats and no top coat for the pictures. 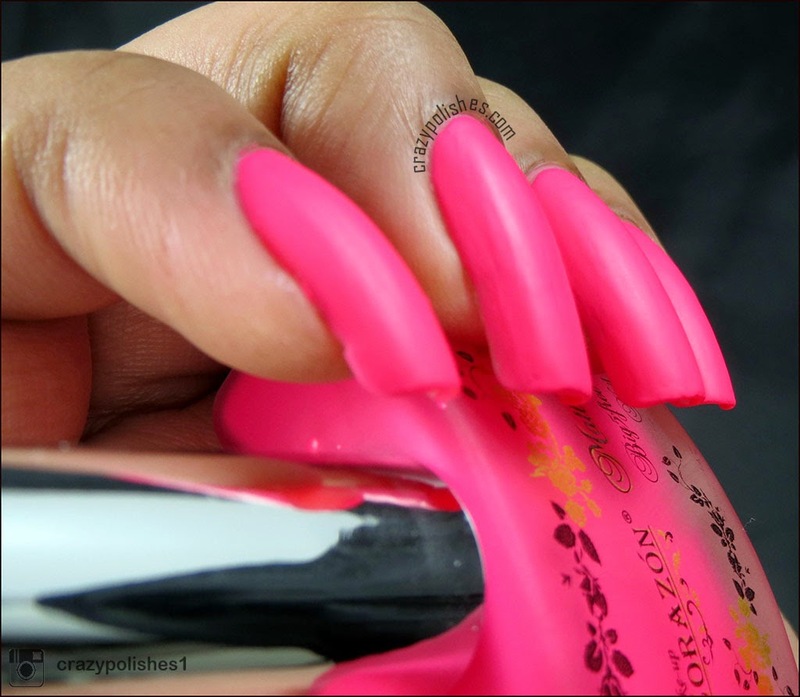 Last but definitely not least Matte Effect 147- Neon. This one is actually the first one I tried and I went all awww when I swatched it on my one nail. Gorgeous purple shade and perfect one coater and no streaks at all. 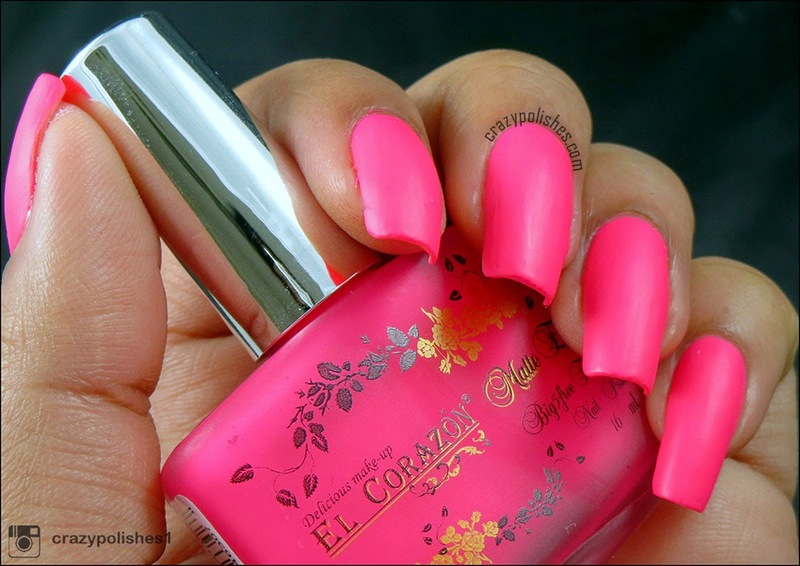 Smooth application even on my broad and long nails. Just love this color. two coats and no top coat for following pictures. Overall, I know you wont believe but I love each one of them. After swatching them I wish I could swatch the rest two from this collection. 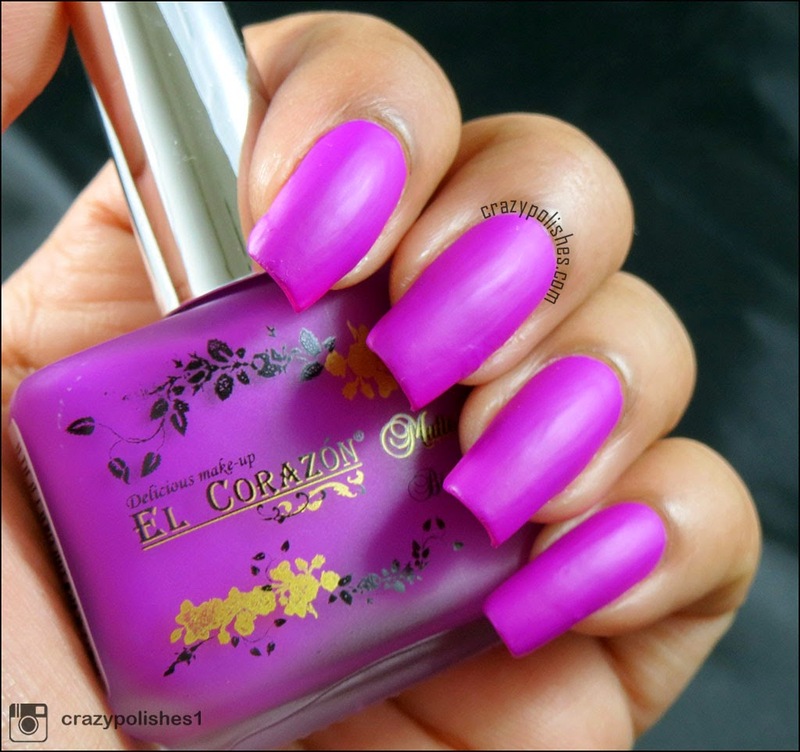 You can buy El Corzon polishes from below stores.